Atlantic Coast Conference logo in Pittsburgh's colors. 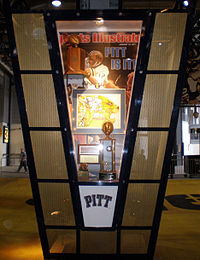 Kiosk in the Great Hall at Heinz Field celebrating Pitt's 1976 football National Championship. The Pittsburgh Panthers, commonly also referred to as the Pitt Panthers, are the athletic teams representing the University of Pittsburgh, although the term is colloquially used to refer to other aspects of the university such as alumni, faculty, and students. Pitt fields 19 university-sponsored varsity teams at the highest level of competitive collegiate athletics in the United States: the NCAA Division I Football Bowl Subdivision (FBS) for American football. Varsity men's sports sponsored by the university are baseball, basketball, cross country, football, soccer, swimming and diving, indoor track and field, outdoor track and field, and wrestling; while sponsored women's varsity sports include basketball, cross country, gymnastics, soccer, softball, swimming and diving, tennis, indoor track and field, outdoor track and field, and volleyball. Pitt will sponsor varsity women's lacrosse beginning with the 2021-22 season. All varsity sports teams compete as members of the Atlantic Coast Conference (ACC), with the exception of the gymnastics team competing in the East Atlantic Gymnastics League. The university also maintains membership in the Eastern College Athletic Conference. The university's athletic program is one of only five current NCAA Division 1A schools to have won multiple national championships in both football (9) and basketball (2), and the Panthers have been ranked as having among the best combinations of football and basketball programs by multiple publications. Other sports have won a variety of conference titles, regularly compete in NCAA championship events, and have produced a plethora of professional and Olympic athletes. 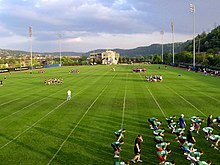 The University of Pittsburgh Department of Athletics administers the 19 men's and women's varsity sports teams, as well as the spirit groups such as the Pitt Band and Pitt Cheerleaders. The Athletic Department also provides student-athlete academic support, the Panther Game Plan student-athlete life skills program, athletic training, marketing, development, media relations, and other support and administrative services and divisions. The university's athletic program is one of only five current NCAA Division 1A schools to have won multiple national championships in both football (9) and basketball (2), and the Panthers have been ranked as having among the best combinations of football and basketball programs by multiple publications. Pitt was ranked as having the fifth best combination of football and basketball programs in CBSSports.com's Flourishing Five ranking in 2010. In its "Hoops & Helmets" list of the best combinations, CollegeFootballNews.com ranked Pitt ninth in 2011, fifth in 2010, third in 2009, 30th in 2007, 26th in 2006, 12th in 2005, fourth in 2004, and third in 2003. Pitt was also ranked 19th for the best combined football and basketball programs during the BCS era and among the top 25 between 1974 and 2008 by Rivals.com. In addition, ESPN.com used the Sagarin mathematical system to rate universities based on the strength of their performance in football and men's basketball for five years through 2006 and found Pitt was tied for 10th as one of the nation's top two-sport schools. Further, in a 2006 all-sports ranking done by Sports Illustrated on Campus, Pitt was ranked 17th among all of the country's universities in terms of the overall strength of its athletic program. Each year the university honors student-athletes who have achieved academic success during the University of Pittsburgh Scholar-Athlete Awards Breakfast where it hands out Blue and Gold awards to student-athletes who have earned over a 3.0 GPA. The 2012 calendar year, Pitt's last competing in the Big East Conference, out of approximately 450 Pitt athletes, 350 achieved a GPA of 3.0 or above, with 16 earning a perfect 4.0. In addition, 148 student-athletes were named as Big East Academic All-Stars and 26 members of the football team were named to the all-academic Big East football team. This does not include 15 additional athletes from the wrestling and gymnastics teams that compete in other conferences. In 2010, volleyball standout Meagan Dooley was named the Big East Female Scholar-Athlete of the Year, the university's seventh male or female Big East scholar-athlete of the year winner since the award was instituted in 1985. Dooley was also awarded one of 87 NCAA Postgraduate Scholarships for women in 2010. †† – Women’s lacrosse to be added in 2021-22 season. ††† – Women’s tennis will end after the 2018–19 season. The University of Pittsburgh sponsors in 19 varsity sports in NCAA Division I (Division I FBS for football), the highest competitive level of intercollegiate athletics in the United States. All Pitt varsity sports teams compete in the Atlantic Coast Conference (ACC) except for women's gymnastics which competes in the East Atlantic Gymnastics League. Baseball, Pitt's oldest varsity sport started in 1869 and has produced multiple All-Americans, Major League Baseball players, and was a regular threat in the Big East Baseball Tournament championship. The baseball team was ranked in the top 25 during several of the past seasons and moved into a new facility, the Charles L. Cost Field at the Petersen Sports Complex, in 2011. Pitt baseball is coached by Mike Bell. Pitt began playing men's basketball in 1905 and soon become a national power. In the era preceding the initiation of national tournaments, the Panthers were both contemporaneously and later retroactively, by the Helms Athletic Foundation (1927–28 and 1929–30) and the Premo-Porretta Power Poll (1927–28), regarded as national champions. Those teams, coached by the innovative Naismith Hall of Fame inductee "Doc" Carlson, were led by National Player of the Year and Hall of Famer Charlie Hyatt. Following a Final Four appearance in 1941, Pitt appeared in a handful of NCAA tournaments throughout the 1950s, 1960s, and 1970s, including an Elite Eight appearance in 1974 led by All-American Billy Knight. Pitt entered the Big East Conference in 1982, and by the end of the decade had secured a pair of Big East regular season championships led by All-Americans Charles Smith and Jerome Lane. The last decade has been an era of consistent national and conference competitiveness that included 10 straight NCAA tournament appearances with five Sweet 16 appearances and an Elite Eight appearance in 2009. In total, Pitt has 25 NCAA appearances, seven Sweet Sixteen appearances, 10 conference regular season championships, four conference tournament championships, ten conference tournament championship game appearances, and 37 players drafted to play professionally with the most recent being Sam Young and DeJuan Blair. Pitt men's basketball plays its home games at the Petersen Events Center and is coached by Jeff Capel. 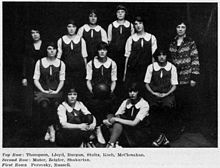 The Pittsburgh Panthers women's varsity basketball program started during the 1914–1915 school year and lasted until 1927 before going on hiatus until 1970. Pitt's women's team has posted several NCAA, NWIT, and EAIAW regional tournament appearances. Between 2006 and 2010, Pitt has appeared in the national rankings and advanced to five straight post-season tournaments. Included in that stretch are three NCAA Tournament bids which resulted in Sweet Sixteen appearances in 2008 and 2009. Pitt women's basketball plays its home games at the Petersen Events Center and is coached by Lance White. Men's and women's cross country at Pitt host home meets at adjacent Schenley Park and is overseen by head coach Alonzo Webb with distance assistant Adam Bray. Traditionally the most popular sport at the University of Pittsburgh, football has been played at the highest levels at the university since 1889. During the more than 125 years of competitive football at Pitt, the university has helped pioneer the sport by, among other things, instituting the use of numbers on jerseys, having the first live radio broadcast of a college football game, and desegregating the Sugar Bowl. 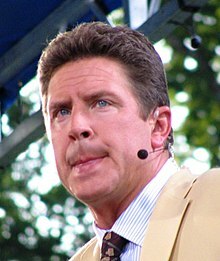 Some of football's all-time greatest coaches and players have plied their trade at Pitt, including Pop Warner, Jock Sutherland, Marshall Goldberg, Joe Schmidt, Mike Ditka, Tony Dorsett, Hugh Green, Mark May, Dan Marino, Bill Fralic, Curtis Martin, Larry Fitzgerald, Darrelle Revis, Aaron Donald, and LeSean McCoy. Among the top schools in terms of all-time wins, Pitt teams have claimed nine national championships and boast 87 players that have been chosen as first-team All-Americans. Pitt football plays its home games at Heinz Field and has practice facilities located at the UPMC Sports Performance Complex. Pitt football is currently coached by Pat Narduzzi. Pitt women's gymnastics has qualified for the NCAA Regional Championship in twenty different season. Pitt is one of only 22 schools in the nation to claim an individual national champion, Lisa Shirk who won the uneven bars in 1982. Pitt Gymnastics hosts home meets at Fitzgerald Field House, has a Gymnastics Training Center at the adjacent Trees Hall, and is led by head coach Samantha Snider. Pitt announced that it will field a varsity women's lacrosse team beginning with the 2021-22 season. Women's lacrosse currently exists as a club sport program at the university and has had significant success at that level including winning the club sport national championship in 2014 and finishing as the national runner up in 2017. Pitt field competitive ACC varsity teams for men's and women's soccer. Men's soccer is coached by Jay Vidovich while women's soccer is coached by Randy Waldrum. Both programs moved into a new facility, Ambrose Urbanic Field at the Petersen Sports Complex, in the spring of 2011. Softball was founded as a varsity sport at Pitt in 1998 and entered the Big East in 1999 and ACC for the 2013–14 season. In 2011, Pitt won a program record 34 games in a single record en route to a team record third straight winning season and was the ACC Tournament runner-up in 2015. The team moved into a new softball facility, Vartabedian Field at the Petersen Sports Complex, in 2011. Pitt softball was coached by Holly Aprile. Pitt's Swimming and Diving teams have produced several Olympians and dominated the Big East Conference having won 19 men's and 9 women's Big East Championships while a member of that conference between 1983 and 2013. The Swimming and Diving teams train and compete at Trees Pool. The men's team first competed in 1913 while the women's team was founded in 1974. Both men's and women's swimming are coached by John Hargis while diving is coached by Katie Hazelton. Pitt women's tennis host matches at an indoor facility at Alpha Tennis & Fitness of Pittsburgh in Harmar and an outdoor facility at Washington's Landing. Tennis is coached by Alex Santos. The tennis program will be discontinued at the conclusion of the 2018-19 season. In Track and Field, Pitt has produced several Olympic and NCAA champions such as 800m Olympic gold medalist John Woodruff, two-time 110m hurdle Olympic gold medalist Roger Kingdom, and 7-time NCAA champion and 2005 World Champion triple jumper Trecia-Kaye Smith. Pitt track and field is coached by Alonzo Webb. At the NCAA Indoor Track and Field Championships, the Pitt men have finished as high as fifth place, while the Pitt women have finished as high as third. At the NCAA Outdoor Track and Field Championships, the Pitt men have finished as high as 8th place, while the Pitt women have finished as high as 9th. The Pitt volleyball program was established in 1974, and since that time the Panthers have had 33 winning seasons, one of the nation's top all-time winning percentages, appearances in 16 national championship tournaments, and won the most Big East tournament championships while a member of that conference. Pitt volleyball host home matches at the Fitzgerald Field House and is coached by Dan Fisher. The wrestling program has a rich history having finishing second at the NCAA Championships twice and in the top ten 13 times, being 13th in the number of all-time individual national champions with 16, and boasting 75 All-American wrestlers throughout its history. 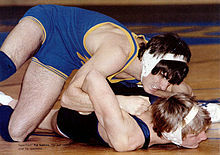 Pitt competes in the ACC but used to be a member of the Eastern Wrestling League and before that, the Eastern Intercollegiate Wrestling Association. Pitt wrestling hosts home meets at Fitzgerald Field House and is coached by Keith Gavin. 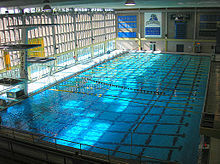 University-sponsored varsity sports that no longer exist at Pitt included men's teams in boxing, fencing, golf, ice hockey, gymnastics, rifle, men's tennis, volleyball (1979–1983), and water polo; as well as women's field hockey. NCAA championship event participation for these programs is as follows. Pitt's athletic teams have competed as independents or in various conferences throughout their history. Football competed as an independent until the formation of the Big East Football Conference in 1991 in which it remained a member through the 2012 season. Pitt's men's ice hockey team competed in the Intercollegiate League beginning with the 1909–1910 season. Pitt men's basketball competed in the Eastern Intercollegiate Conference from 1932–33 to 1938–39 and in the Eastern 8 conference from 1976–77 to 1981–82 before joining the Big East in at the beginning of the 1982–83 season and in which it competed through the 2012–13 season. Women's basketball also joined the Big East in 1982–83, having competed previously as an independent. Baseball joined the Big East when the conference began sponsoring the sport in the spring of 1985. Men's soccer entered the Big East in fall of 1985. The women's soccer program began play in 1996 as an independent and entered the Big East in 1997. Softball began play in 1998 as an independent and entered the Big East in 1999. All of Pitt's Big East sports transitioned to the ACC beginning in the 2013–14 season. Pitt's men's gymnastic team competed in the Intercollegiate Gymnastic League. Pitt wrestling competed in the Eastern Intercollegiate Wrestling Association until it entered the Eastern Wrestling League in 1976 where it competed before moving into the ACC in 2013–14. The men's swimming and diving team previously competed in the Eastern Collegiate Swimming Association. The history rich University of Pittsburgh Varsity Marching Band was founded in 1911 and performs at sports and other events, including at every home football game and select away football games. Its constituent group, the Pitt Pep Band, performs at all home basketball games and at post-season away games. The Pitt Band's drumline, known as The Crew, also performs at football games and occasionally at select basketball games. The Band also oversees the Golden Girls majorette group. The Pitt Band is directed by Dr. Brad Townsend. The Pitt Cheerleaders have won multiple cheerleading national championships, including three straight from 1992–1994. At the 2007 NCA/NDA Collegiate Cheerleading and Dance National Championships, Pitt's Cheer squad won the 2007 Challenge Cup and finished in eighth place overall in the All-Girl Division I category. The Pitt Dance Team has also been competitive in national competitions, earning a top-20 finish at the NCA/NDA competition in the Division IA category in 2007, and advancing to finals in 2010 to finish 13th. The Cheerleading team also oversees the costumed Panther mascot named Roc, who finished 6th in the NCA/NDA College Nationals Mascot Competition in 2011. In 2019, the Pitt Cheer team won the national championship in Intermediate Small Co-ed Division 1 and finished sixth in Division 1 Team Performance dance competition at the NCA/NDA College Cheer and Dance Championships. The Cheerleading and Dance Team is coached by Theresa Nuzzo. Petersen Sports Complex – An on-campus multi-sport complex housing the home competition and practice venues for baseball, soccer, and softball. Trees Fields – practice and intramural fields, and future site of a new track and field and band complex. The university Athletic Department has an official booster club, the Panther Club, which is directly active in raising money for the athletic department from alumni, boosters, and fans. It also oversees the Varsity Letter Club, a booster club specifically for former Pitt student athletes. The Panther Club was previously known as Team Pittsburgh, and prior to 1997, was known as the Golden Panthers. Although independent of the Athletic Department, the Pitt Alumni Association often coordinates with the Athletic Department and Panther Club in hosting events corresponding with both home and away athletic events. Numerous Pitt athletic teams compete intercollegiately at the student club level without official sanction or sponsorship from the university's Department of Athletics. Although some are registered as official student organizations with the University of Pittsburgh Student Government Board and thus receive some small funding from that body, they are all largely self-supported. Founded in 1981 and then reestablished in 1990 as a member of the Allegheny Rugby Union, the University of Pittsburgh Rugby Football Club played college rugby in Division 2 thru 2012, winning the Midwest Territory and advancing to the National Final 8 in 2003–04. They were promoted to Division 1-AA in 2013 and joined the newly formed Keystone Conference. In their inaugural season, the Panthers won both the regular season and tournament championships and advanced to the National Sweet 16. The Panthers play their home games at Turner Valley Fields in Norwin PA, Pitt has contributed to the growing popularity of rugby in Western Pennsylvania. Founded in 1998, the University of Pittsburgh Ultimate Club plays in USA Ultimate's D-I College Championship Series, the highest level of collegiate competition in the sport. The 2005 season marked the first time the team qualified for the National Championship tournament. Since 2005, Pitt has qualified for the National Championship tournament (top 20 teams) for 14 consecutive seasons which has been highlighted in winning back-to-back National Championships in 2012 and 2013, and playing for another national title in 2018. In addition to winning the 2012 and 2013 National Titles, the team has won 3 College Easterns Championships (2006, 2012, and 2015), 14 consecutive Western Pennsylvania Conference titles (2005–2018), and 7 Ohio Valley Regional Titles (2011–2015, 2017 and 2018). In 2016, Pitt's Trent Dillon won the Callahan Award which is presented annually to the most valuable collegiate player in the sport. The Pitt women's lacrosse club team that plays in Division 1 of Women's Collegiate Lacrosse Associates (WCLA) as a member of the East division of the Women's Collegiate Lacrosse League (WCLL). The club was founded in 1992 and plays home games in the Cost Sports Center. Since its founding, Pitt has won the WCLL five times (2006, 2013, 2014, 2015, and 2017) and has advanced to the WCLA national championship tournament twelve times (2003, 2004, 2006, 2007, 2008, 2011, 2013, 2014, 2015, 2016, 2017, and 2018), which was highlighted by winning the WCLA Division 1 National Championship in 2014 and finishing as runner up in 2017. The Pitt men's club lacrosse team competes in the CLC West (formerly the CCLA) in MCLA Division 1. The men's lacrosse team is the only lacrosse team in the country sponsored by Margaritaville. For most of Pitt's athletic history until 2000, the university's most-played and fiercest football rival was Penn State University. The series began in 1905 and ended on September 16, 2000 with a 12-0 Pitt Heinz Field victory, but with Penn State leading the series 50–42–4. Although the two teams ended play for years due to long-standing coaching and administrative feuding, the rivalry remained heated among some fans. A revival of the rivalry is scheduled to resume for a four-game series in 2016, 2017, 2018, and 2019. Pitt athletic officials have publicly supported an annual renewal of the rivalry; however, Penn State has publicly countered that it is financially restricted from agreeing to a long-term series on a home-and-home basis. On December 10, 2016, Pitt and Penn State resumed competition in men's and women's basketball, with a win in the men's game and loss in the women's game. They compete in other sports as well as in recruiting. Pitt's biggest rivalry in recent years has been with West Virginia University, which began with football games that date back to 1895, and spills across multiple sports. The annual contests are called the Backyard Brawl due to the proximity of the two schools' main campuses that are 57 miles apart (as the crow flies), as well as the shared boundary between western Pennsylvania and North-Central West Virginia and the fact that both school reside in the same Designated Market Area. The football rivalry represents the most played opponent for each school, and in recent seasons has been traditionally played on Thanksgiving weekend, with the result often having implications both on the conference and national level. A men's basketball rivalry with WVU shared an intensity similar to that of the football one, and was also shared between the women's basketball teams as well. The rivalry had been relatively unique in college athletics in recent years as the two most high-profile sports, football and men's basketball, have resulted in games between teams have been all been nationally ranked in the same season. However, the football and basketball rivalries between the two schools were on hiatus due to Pitt and West Virginia moving into the ACC and Big 12 conferences, respectively. A four-year home and road football series has been scheduled from 2022-25. Since the 2017-18 season, an annual basketball series has resumed. Most other sponsored varsity and club sports fielded by both schools also shared a similar rivalry, and some continue despite the conference realignment for both schools. Pitt and Duquesne University have had a long-standing rivalry in men's basketball that dates to 1932. Dubbed the City Game, the inter-city rivalry pits the only two Division 1 basketball schools located within Pittsburgh's city limits. With their campuses located only three miles apart, it was the most intense basketball rivalry for both schools through the 1970s. The series currently scheduled to be held every year at the PPG Paints Arena and attracts significant local interest. Both schools' women's teams also play their annual version of the City Game. Prior to World War II, the schools were also rivals on the football field. Pitt has a longstanding rivalry with the University of Notre Dame. Pitt has played Notre Dame on a semi-regular basis since 1899, with never more than three years passing between contests since 1943. The two universities recently are in the midst of a contract to play eight games between 2008 and 2015. Notre Dame is tied for Pitt's third most played opponent in football while Pitt is Notre Dame's fifth most played opponent. In other sports, Pitt and Notre Dame both compete against each other regularly as members of the Big East Conference and those competitions continue when both schools moved into the ACC. Pitt has a long-standing rivalry with eastern football foe Syracuse University, which also spills over onto the basketball court. Pitt and Syracuse have played in football without interruption since 1955, a streak that will continue when both schools move into the ACC and become designated cross-division rivals in that conference. Syracuse is tied as being Pitt's 3rd most played football opponent, while Pitt is Syracuse's second most played opponent. The basketball version of the rivalry dates to 1914 and has been played nearly 100 times. In 2005, Pitt began a football trophy rivalry with the University of Cincinnati Bearcats, dubbed the "River City Rivalry." This annual Big East Conference game stems from both cities being situated along the Ohio River and features a trophy of a riverboat telegraph (a device for signaling the boat's engine room). However, with Pitt scheduled to move into ACC in 2013, the series is on hiatus for the foreseeable future with Pitt leading the all-time series 8–4. Pitt also has a significant basketball rivalry with the University of Connecticut. 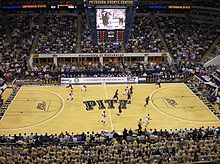 The Pitt and UConn rivalry first sparked with a last second win by then number one ranked Connecticut at Pitt's Fitzgerald Field House in 1998 that was followed by a crowd-displeasing emotional outburst by Connecticut's Khalid El-Amin. The rivalry took on new significance in the 2002 Big East Conference Tournament championship game that saw Pitt lose in double overtime. Pitt went on to avenge its loss the following season by defeating UConn in the 2003 Big East Championship game. Pitt and UConn also met for the championship in 2004 and have since played in many conference games of significance since. In the 2008–2009 season, Pitt earned its first win over the country's top-rated team by beating UConn on the road, and later at home while Connecticut was again ranked #1. However, the future of the rivalry is uncertain with Pitt's pending move to the ACC. Beginning in the 1980s, Pitt had an intense basketball rivalry with cross-state school and fellow Big East Conference member Villanova that was touched off by recruiting battles over several high-profile players. The future of this series is also in doubt when Pitt moves into the ACC. 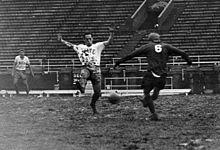 In the first half of the 20th century, a rivalry against Carnegie Tech (now Carnegie Mellon University), as well as a regional rivalry with Washington & Jefferson College ended following the deemphasis of the football and other athletic programs at those institutions post-World War II. From 1935 to 1941 Pitt football had a notable series with Fordham University which was then coached by Jim Crowley and featured guard Vince Lombardi. The series received attention because, at the time, both schools were national football powers whose first three meetings resulted in scoreless ties (1935, 1936 & 1937). The University of Pittsburgh officially adopted the Panthers of Pittsburgh as its nickname and mascot in 1909, shortly after changing its name from the Western University of Pennsylvania. The panther was the most powerful animal that once roamed western Pennsylvania. Its standing as a noble animal. At the time, no other school used the panther as a symbol. Its colors are similar to Pittsburgh's colors of gold and blue. The "happy accident of alliteration." Over 20 representations of panthers can be found in and around the university's campus and athletic facilities. Students, alumni, and fans rub the nose of one Panther statue in particular, the Millennium Panther located outside the William Pitt Union, in order to bring good luck to the university's teams prior to athletic contests. This tradition was featured in a national television advertisement for the 2012 Hyundai Tucson automobile. In addition, a costumed mascot, named "Roc", performs with the Pitt Cheerleaders at various athletic and non-athletic university events. The student section for basketball, the "Oakland Zoo", has received national acclaim for the atmosphere it helps to create in the Petersen Events Center. The student section for football is termed the Panther Pitt and has been recognized as being among the best in college football. The Pitt Band and its constituent Pitt Pep Band are often heard to play Pitt's fight songs, "Hail to Pitt", The Panther, and the "Pitt Victory Song" are typically played during athletic contests, along with other music. The University of Pittsburgh Alma Mater is typically played prior to or following athletic contests. In addition, a recent popular tradition involves the crowd singing a "Let's Go Pitt!" version of "Sweet Caroline" between the 3rd and 4th quarter of football games. 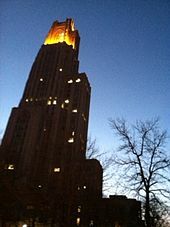 In a tradition that began in 1983, the upper section of the Cathedral of Learning is illuminated "gold" after every home football team victory, as well as important victories in other sports. Alumni, students, faculty, athletes and non-athletes alike, often refer to themselves as "Panthers". There have been many notable individuals who have been associated with the University of Pittsburgh throughout its history ranging from athletes like Mike Ditka and Larry Fitzgerald, to celebrities like Gene Kelly and Fred Rogers, writers like Michael Chabon, businessmen like Andrew Mellon, and scientists like Jonas Salk. For more examples, see the List of University of Pittsburgh people. The inaugural class of the Pitt Hall of Fame was inducted on September 7, 2018. Starting with the 2010–11 school year Comcast and Xfinity in Western Pennsylvania will receive an all-Pitt-Panthers network featuring all sports and commentary hosted by Pitt in second-tier cable packages. The channel, located on the Comcast Network Channel 188 or 210, will also feature rebroadcasts of games carried by CBS, ABC or ESPN/ESPN2/ESPNU shot by its own production crew and with the Pitt Radio announcers on play-by-play. The university promises at least 500 hours a year of sports games and matches. The following radio stations are part of the Pittsburgh Panthers Radio Network. ^ "ROC THE PANTHER: ABOUT ROC". Pittsburgh Panthers. August 28, 2017. Retrieved September 3, 2018. ^ a b Meyer, Craig (November 1, 2018). "Pitt will add a women's lacrosse program starting in 2021-22". Pittsburgh Post-Gazette. Retrieved November 1, 2018. ^ Dodd, Dennis (2010-07-22). "Flourishing Five No. 5: Resurgent Pitt football doing its part". CBSSports.com. Retrieved 2010-07-22. ^ Cirminiello, Richard (2011-03-14). "Hoops & Helmets 2011: The Best Football & Hoops Schools". CollegeFootballNews.com. Archived from the original on 2011-03-20. Retrieved 2011-03-28. ^ Cirminiello, Richard (2010-03-16). "2010 Hoops & Helmets Rankings". CollegeFootballNews.com. Archived from the original on 2010-05-25. Retrieved 2010-07-01. ^ Cirminiello, Richard (2009-03-17). "2009 Hoops & Helmets Rankings". CollegeFootballNews.com. Archived from the original on 2010-03-25. Retrieved 2010-07-01. ^ Cirminiello, Richard (2010-03-14). "Hoops & Helmets Rankings 2007". CollegeFootballNews.com. Archived from the original on 2011-03-20. Retrieved 2010-07-01. ^ Cirminiello, Richard (2006-03-14). "Hoops & Helmets 2005/2006". CollegeFootballNews.com. Archived from the original on 2006-04-10. Retrieved 2010-07-01. ^ Cirminiello, Richard (2005-03-13). "Hoops and Helmets 2004/2005". CollegeFootballNews.com. Archived from the original on 2005-03-16. Retrieved 2010-07-01. ^ Cirminiello, Richard (2004-03-17). "Hoops and Helmets for 2003/2004". CollegeFootballNews.com. Archived from the original on 2004-12-05. Retrieved 2010-07-01. ^ Cirminiello, Richard (2003-03-18). "Hoops and Helmets 2002 & 2003". CollegeFootballNews.com. Archived from the original on 2005-03-08. Retrieved 2010-07-01. ^ Megargee, Steve (2010-06-03). "Best of both: BCS era combined standings". Brentwood, Tennessee: Rivals.com. Archived from the original on 2010-06-20. Retrieved 2010-07-01. ^ Megargee, Steve (2008-01-31). "Best of Both Worlds". Brentwood, Tennessee: Rivals.com. Archived from the original on 2012-02-25. Retrieved 2010-07-01. ^ "Top two-sport schools over the last five years". ESPN.com. 2006-12-21. Retrieved 2009-08-20. ^ Bressman, Theodore B. (2006-12-14). "All-Sport Rankings". Sports Illustrated. Retrieved 2009-08-20. ^ "Pitt Honors Its Scholar-Athletes at Annual Breakfast". PittsburghPanthers.com. February 5, 2013. Retrieved March 4, 2013. ^ "Pittsburgh volleyball standout Meagan Dooley named Big East Female Scholar-Athlete of the Year". BigEast.org. 2010-06-28. Archived from the original on 2011-07-18. Retrieved 2010-07-01. ^ "Two Big East standouts earn NCAA Postgraduate Scholarships". 2010-06-28. Archived from the original on 2011-07-18. Retrieved 2010-07-01. ^ "The Owl". 1937. p. 222. Retrieved November 7, 2008. ^ Rupert, Lauren; Nestor, Mendy, eds. (2010). Pitt Baseball 2010 Media Guide (PDF). University of Pittsburgh. pp. 35, 49. Retrieved 2010-05-19. ^ Anderson, W.M. Niles, ed. (1928). The 1929 Owl. 23. Junior Class of the University of Pittsburgh. p. 126. Retrieved June 14, 2015. ^ ESPN, ed. (2009). ESPN College Basketball Encyclopedia: The Complete History of the Men's Game. New York: ESPN Books. pp. 539–40. ISBN 978-0-345-51392-2. ^ Borghetti, E. J.; Nestor, Mendy; Welsh, Celeste, eds. (2008). 2008 Pitt Football Media Guide (PDF). University of Pittsburgh. p. 156. Retrieved 2010-07-07. ^ "1979 AIAW Division I Nationals - Team". Gymn Forum. Retrieved January 23, 2018. ^ a b Ohanian, Paul (May 10, 2014). "Pittsburgh Edges Boston College to Take First WCLA Title". Lacrosse Magazine. Archived from the original on 2014-05-12. Retrieved May 11, 2014. ^ "Volleyball Releases 2007 Schedule". PittsburghPanthers.com. 2007-06-21. Retrieved 2010-06-26. ^ Duck, Sophia, ed. (2009). Pitt Women's Volleyball 2009 Media Guide. University of Pittsburgh. pp. 58–59. Retrieved 2010-05-22. ^ The 1911 Owl. 1911. p. 206. Retrieved June 28, 2013. ^ "Wall of Fame – College Nationals". National Cheerleaders Association. Archived from the original on 2010-07-13. Retrieved 2010-07-05. ^ "Spirit Groups". Pittsburgh Panthers.com. Archived from the original on 2010-09-05. Retrieved 2010-07-05. ^ "Cheer and Dance Finish in Top 20 in Respective Competitions". 2007. Retrieved 2010-07-05. ^ "Results: 2010 NCA & NDA Collegiate National Championship Dance Division IA" (PDF). Varsity.com. 2010-04-09. Retrieved 2010-07-05. ^ "ROC the Panther". PittsburghPanthers.com. Archived from the original on 2013-01-21. Retrieved March 24, 2013. ^ "Pitt Cheerleaders Win National Championship". PittsburghPanthers.com. April 9, 2019. Retrieved April 11, 2019. ^ "Petersen Sports Complex". University of Pittsburgh. Retrieved 2010-01-11. ^ "Panther Sports Club Network". University of Pittsburgh. Archived from the original on 2012-01-06. Retrieved 2012-02-10. ^ "pittclubbaseball.com". pittclubbaseball.com. Archived from the original on 2008-04-10. ^ "University of Pittsburgh Ice Hockey". pitthockey.com. ^ "Pittsburgh Panthers Lacrosse". pittpantherslax.com. ^ "Pittsburgh Panther Roller Hockey". pitt.edu. ^ "En Sabah Nur – Pitt Ultimate". pittultimate.org. ^ "Panther Club Gymnastics". pitt.edu. ^ "University of Pittsburgh Women's Lacrosse". pitt.edu. ^ "Pitt Women's Rugby – Home". pitt.edu. ^ "Lady Panthers Club Soccer". google.com. ^ Meyer, Craig (May 18, 2016). "Pitt unveils new uniforms and returns to script 'Pitt' logo". Pittsburgh Post-Gazette. Retrieved May 21, 2016. ^ "Pitt Club XC". google.com. ^ "Panther Cycling Club". pitt.edu. ^ "Pittsburgh Fencing Association". google.com. ^ "ダイエットでより一層美しく". pittjudo.com. Archived from the original on 2012-06-07. ^ Nick Bourdakos. "Pitt Rowing". pitt.edu. ^ "About Us". PITTSBURGH CLUB TENNIS. ^ "Home – Panther Western Equestrian Club". Pittwestern.webs.com. Archived from the original on 2012-08-30. Retrieved 2015-09-24. ^ "Women's Collegiate Lacrosse League Division 1". Women's Collegiate Lacrosse League. 2014. Retrieved May 11, 2014. ^ a b "Pittsburgh Women's Lacrosse". Pittsburgh Women's Lacrosse. 2014. Retrieved May 11, 2014. ^ Fittipaldo, Ray (2011-06-14). "Pitt, Penn State to renew football rivalry in 2016". Pittsburgh Post-Gazette. Retrieved 2011-06-14. ^ "City Distance Calculator". Geobytes. ^ Berk, Dave (2005-10-06). "River City Trophy Breakdown". BearcatInsider.com. Archived from the original on 2009-05-17. Retrieved 2009-07-08. ^ Zeise, Paul (2004-09-24). "Football Q&A with Paul Zeise". Pittsburgh Post-Gazette. Retrieved 2014-10-05. ^ "PittsburghPanthers.com – University of Pittsburgh Official Athletic Site – Traditions". cstv.com. Archived from the original on 2008-04-08. ^ "Pitt Alumn Association: Traditions: When You Wish Upon a Panther". University of Pittsburgh. June 30, 2008. Retrieved August 15, 2008. ^ Everson, Darren (2009-03-04). "The Toughest Place to Win in Sports". The Wall Street Journal. Retrieved 2009-03-04. ^ "Exclusive Players Poll: Big East: Toughest Place to Play". Sports Illustrated. 104 (10). 2006-03-06. Archived from the original on 2012-12-03. Retrieved 2008-04-06. ^ "Pitt Traditions". Pitt Alumni Association. 2010-06-23. Retrieved 2011-11-29. ^ "The Varsity Walk". Traditions. PittsburghPanthers.com. Archived from the original on 2008-10-20. Retrieved 2008-04-29. ^ "The Inaugural Pitt Hall of Fame". pittsburghpanthers.com. Retrieved June 30, 2018. ^ Zeise, Paul (2010-09-21). "Pitt launches Pitt Panthers Television". Pittsburgh Post-Gazette. Retrieved 2010-09-21. ^ "Panthers on the air". PittsburghPanthers.com. 2010. Archived from the original on 2010-09-27. Retrieved 2010-10-05. ^ "University of Pittsburgh Radio Network". ISP Sports. 2010. Retrieved 2010-10-05.